You order it. We deliver it. You return it when you're done. Looking for a little more detail? Ready and waiting to go in the van. Containers left in the entry after we made the beds. Use our online store or give us a call. Set your arrival and departure dates and place your order. Your credit card will not be charged until 7 days before your arrival so you have until that time to change or cancel your order. After that time, any cancellations will carry a $50.00 cancellation fee. We will try to accommodate changes to your order after that time, but are unable to make any guarantees. Deliveries are made on Saturdays between 10:00am and 5:00pm. All items will be appropriately packed, clean and dry. 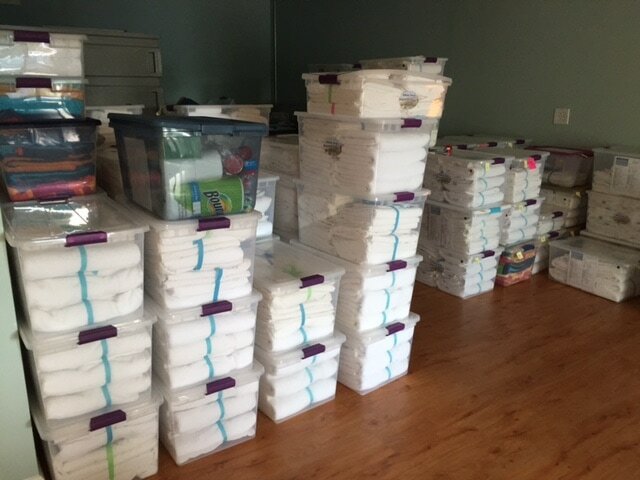 Sheets sets are wrapped and labeled for size. You are responsible to check our delivery to ensure that you received all of the items that you ordered. You will be provided with an inventory to make this quick and easy. You are responsible to keep the containers that we use for delivery clean and safe. You will return your items in these at the end of your stay. If you hire us to make your beds, we will work with your real estate agent to enter the property and have the beds made before your arrival. We will leave our plastic containers for your use on your departure day. 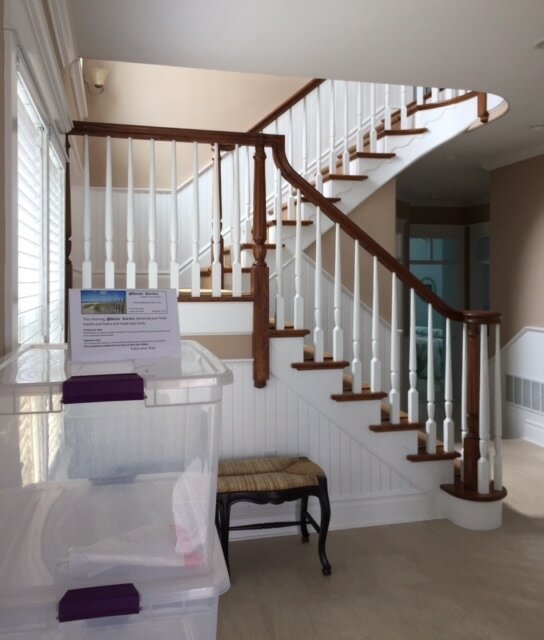 On your departure day, you will be responsible to strip the beds, gather the towels and place all of our items in the containers and have them outside on the front step no later than 9:00am. Linens and towels are not replaced during the week. If you need additional items, please call or e-mail and we will do our best to accommodate you. Please do not use linens or towels (except for beach towels) at the beach. If you wash our items during your stay, please wash whites separately. Please wash beach towels separately. If you're using a beach umbrella, please use it with care. Make sure it is placed securely in the sand. Do not use beach umbrellas in strong winds. On the day of your departure, place all items to be returned in the same containers in which they were delivered. Use the inventory that you received with your delivery to ensure that all items are being returned. Even if we made your beds or delivered inside your rental property, you are responsible for stripping the beds and placing all rental items in the delivery containers. Place containers outside no later than 9:00am. ​Even if we made your beds before arrival, items must be placed outside the rental property for pickup. Fees will be charged according to our Terms if we need to enter the rental property to retrieve our items. ​Beach items should be dry and free of sand. Items must be returned undamaged. Replacement fees will be charged for missing or damaged beyond repair items based on the fee schedule on our terms page. We take the work out of renting at the shore!